Run this business from your phone... 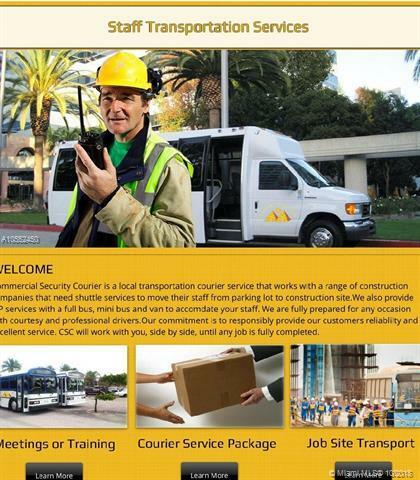 Shuttle service company in Miami since 1999.Services the biggest construction companies with workers transportation needed from parking lot to construction sites .Fleet of 6 buses and long term service contract brings this business to reliable income producing and the ability to high customer retention. Average income $400,000 a year. We are the company to provide you, your employees, your sub-contractor with shuttle services to construction site among other transportation services . Listing courtesy of Home 61 Miami Inc.